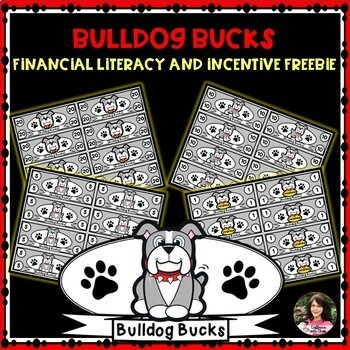 Financial Literacy and Incentive Freebie! 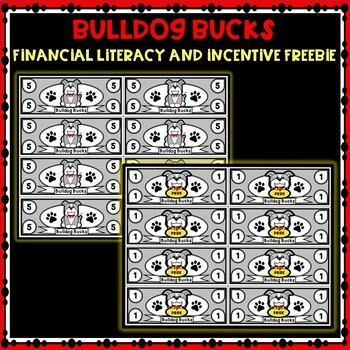 Your students will love learning about financial literacy and earning their own money with these Bulldog Bucks! I love instituting this system the last 6 weeks of the school year. This is the time that we begin our unit on financial literacy. It is also when the end of school draws near, and students may need a little more incentive to stay on track with their learning! Students start off each week with 50 Bulldog Bucks. They may earn more money during the week for responsible acts or they may have to pay a few bucks along the way. 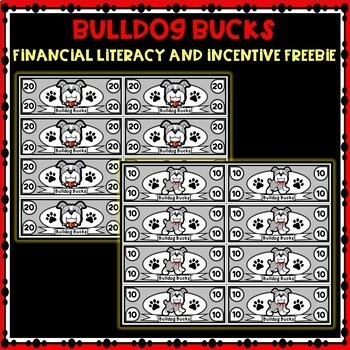 You decide how you want the Bulldog Bucks to work for your classroom!